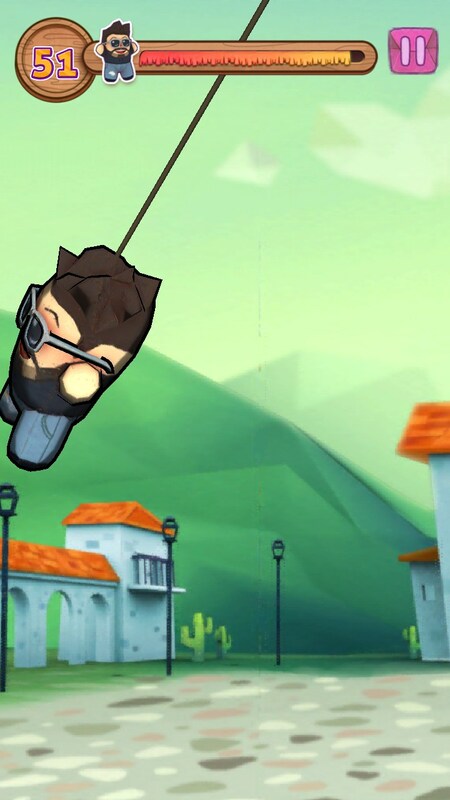 Super TapTap Piñata – Games for Android 2018 – Free download. 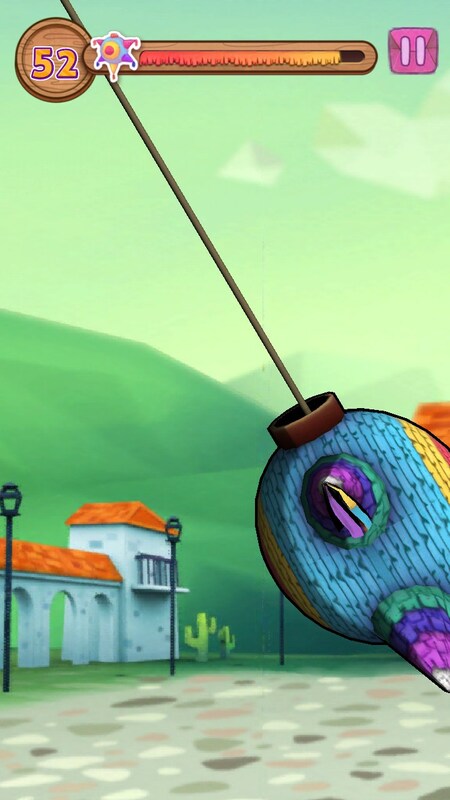 Super TapTap Piñata – Exciting arcade for children. 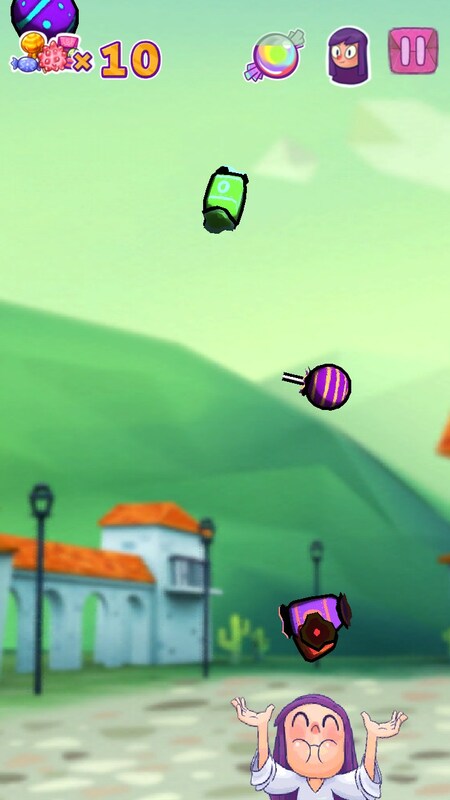 Super TapTap Piñata - is a fun arcade game for Android, sostayat two mini-games, first we'll split a large capacity, stuffed with candy and then we will catch these candies. 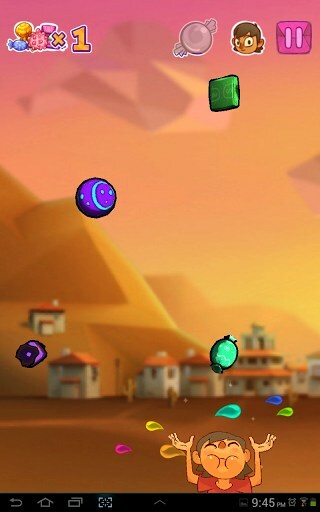 The game has very nice graphics and fun gameplay. Development of the game deals with a young studio HaiKu. The basis of the game was taken popular Mexican tradition. At almost every holiday they molded from papier-mache big figure in the shape of an animal and stuffed it with candy. Next, the child (usually the birthday boy) with a stick and a blindfold to find her and beat to get the content. 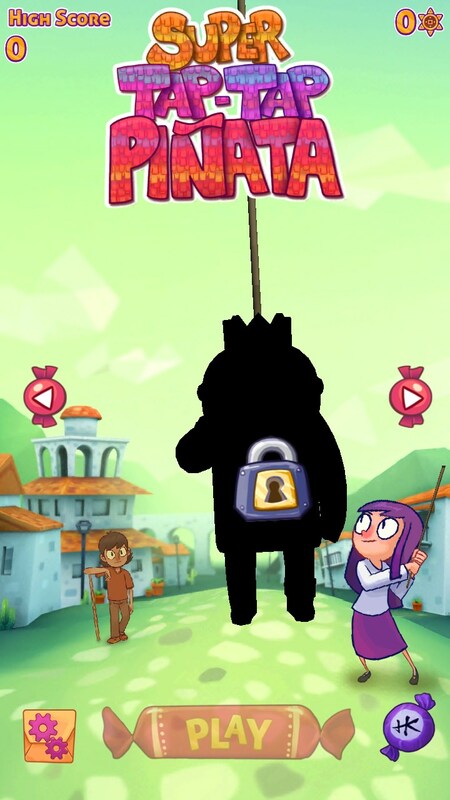 The game begins with the fact that we choose for ourselves form Piñata, there may be several, but initially there are only two options. After that, we have to choose a hero - a boy or a girl (no difference between them) and start the game. 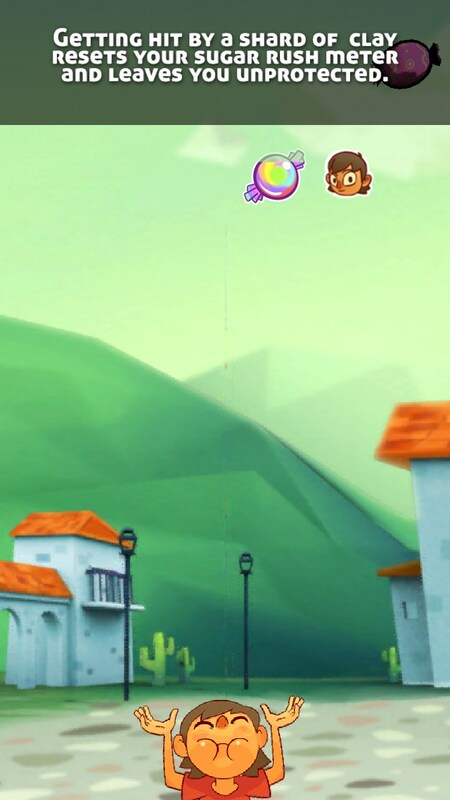 The first mini-game figure will quickly fly across the screen on a rope, and we are using the accelerometer to tilt your device for it. In this case you need to quickly press on it with your finger (to beat). Will be displayed on top of the rest of life, then Piñata fall apart, and it will pour out of candy. Faster than we divide it, the more of it vysypletsya chocolates. 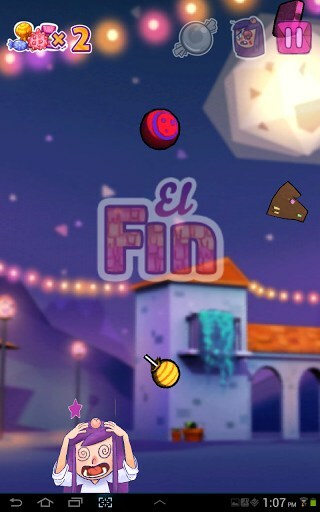 The second part of the mini-game Super TapTap Piñata much easier, here we are with gestures or arrow keys to move your character and catch the falling sky with chocolates, candies, chocolates and other sweets. For each caught sweetness we will receive bonuses in the form of coins. Also, if running to catch a lot of sweets, then we will get more bonuses. Points can be earned on the open new figures, which have a greater variety of chocolates. Many of the figures are expensive, but if you scroll through the list, you can find cheap and for 50 gold. The disadvantages of the game can be attributed almost complete lack of diversity in the game. In fact, except for the two mini-games there is nothing you can not find. The game will entice you with a maximum of 30 minutes, but the children can delay much longer. Summary. 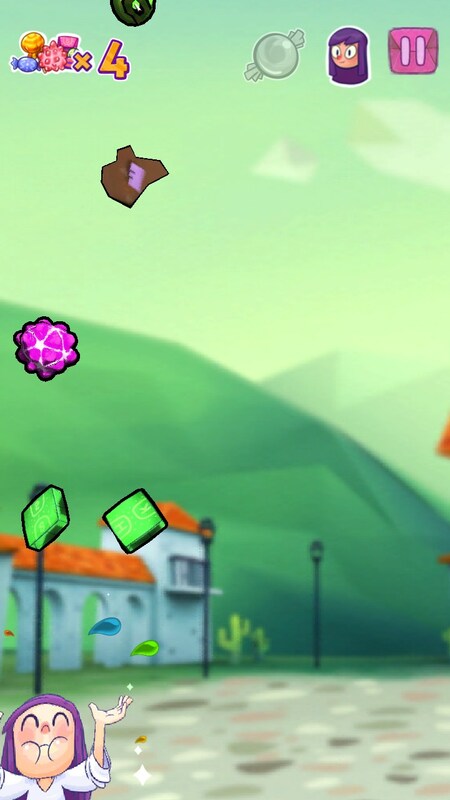 Super TapTap Piñata - is the average arcade game for Android with good graphics and interesting gameplay, similar games we have not met in Google Play. yes some of them has an error .